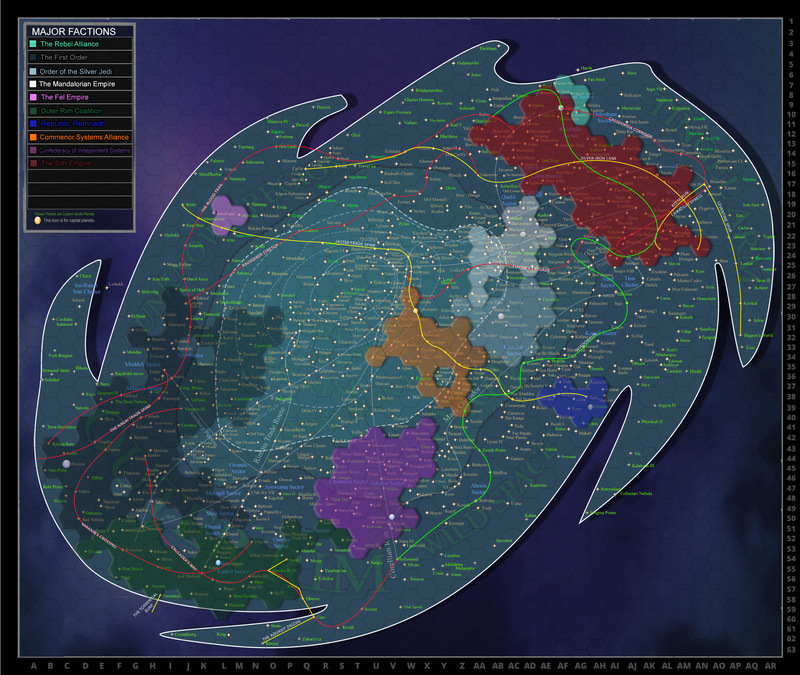 Approved, member-made hyperlanes submitted to the Codex using the Hyperlane Template will be displayed here for public reference. Feast thine eyes. Use it. Explore it. Fill it up. Give the Hyperlane Template the love it deserves. Edited by Quietus, 21 August 2018 - 06:39 PM. Look at those sweet, sweet hyperlanes. Jorus Merrill built, I thought? Edited by Coren Starchaser, 19 February 2018 - 03:18 PM. Mara Corridor was indeed member-created by Jorus and a few others (group effort as I recall). It is the first and only member-made lane added to the official Chaos map. We had a contest last year for new hyperlanes with the winning lane being added to the map but only received two entries and cancelled the contest. Edited by Quietus, 19 February 2018 - 03:29 PM. Coren Starchaser - We need to get to work, flyboy. How do some of these lanes work if they're literally outside the borders of the galaxy itself? If you mean those tiny intersections from the Blood Trail and the Crusaders' Way, I'd imagine that's just artistic license endemic to naturally swoopy lines. If you're talking about the Nagai Trade Spine going off the map, that more or less follows a canon extragalactic route to one of the small companion galaxies. With great care and finesse. I'm a bad person - I never knew this existed! Thanks for bringing it up! How neat! Quietus I will make sure this gets pinned and posted - think of a way we can get them added on as well so members can see the beauty of their work. Thank you for being an awesome member. I have been wanting this for so long, I must have missed this while I was gone. Thanks for making sure the interest of this stays alive @Quietus. What does it meant when a Space Lane is Yellow or Red? It means nothing at all. I use it as an element to help viewers tell lanes apart when there are several intersecting/overlapping. Lovely work, feels really nice to have your work shown in such a tangible way! Seeing Crusader's Way on the map made me all sorts of happy. I wanted to spread the joy.